Have you ever gotten a little chill down your spine as you walk past mannequins in a department store? 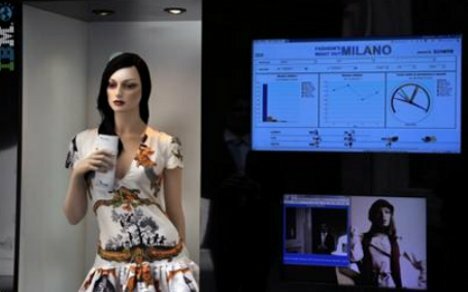 That chill may soon be well deserved since an Italian company introduced a new line of mannequins that really are watching you. EyeSee mannequins from a company called Almax feature cameras and microprocessors in their heads, allowing the mannequins to gather information about shoppers. The mannequins would be placed in strategic positions in stores, such as at the entrance or near important displays. The cameras and microprocessors in the mannequin heads would measure data like demographic information based on facial recognition. 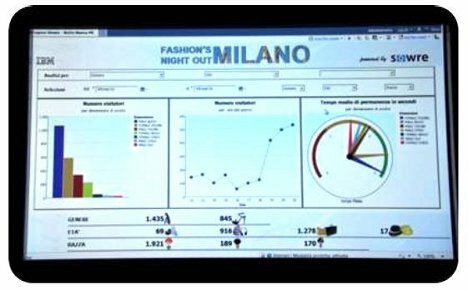 Data like ages, races, and genders of shoppers could be measured (like on the screen above), along with how many people visit a certain part of the store in a set time period and how long they hang around. The company is quick to point out that the data processing would all be done on-site inside the mannequins, so no demographic or personal data would be stored or transmitted. According to Almax, the anonymous data can be used by the stores to adapt their staffing and displays to the customers – all without revealing any personal information. But that doesn’t change the fact that the mannequins will be creepily spying on you as you shop, which is enough to make us stay at home and give more of our business to Amazon. See more in Futuristic or under Technology. November, 2012.